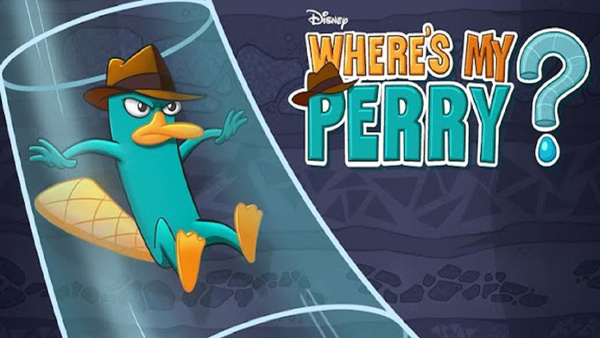 Where’s My Perry is another fun puzzle game by Disney, it is the latest brain game from the makers of Where’s My Water. It is a challenging physics-based puzzler where you need to use water in all its different forms – ice, steam and liquid – to solve the puzzle. The game features 180 puzzles across 9 missions, with some bonus levels and secret files. Some of these levels are not too hard, but you may get stuck in many difficult levels. Here comes the video walkthrough for the game for the Mission 2 – A Thousand Times Over from level 2-1 to 2-20. This entry was posted in Android Games, iOS Games, Mobile Games, Walkthrough and tagged A Thousand Times Over, Where's My Perry, Where's My Perry Answers, Where's My Perry Cheats, Where's My Perry Gameplay, Where's My Perry Help, Where's My Perry Hints, Where's My Perry Solutions, Where's My Perry Tutorial, Where's My Perry Walkthrough by Marvin. Bookmark the permalink.